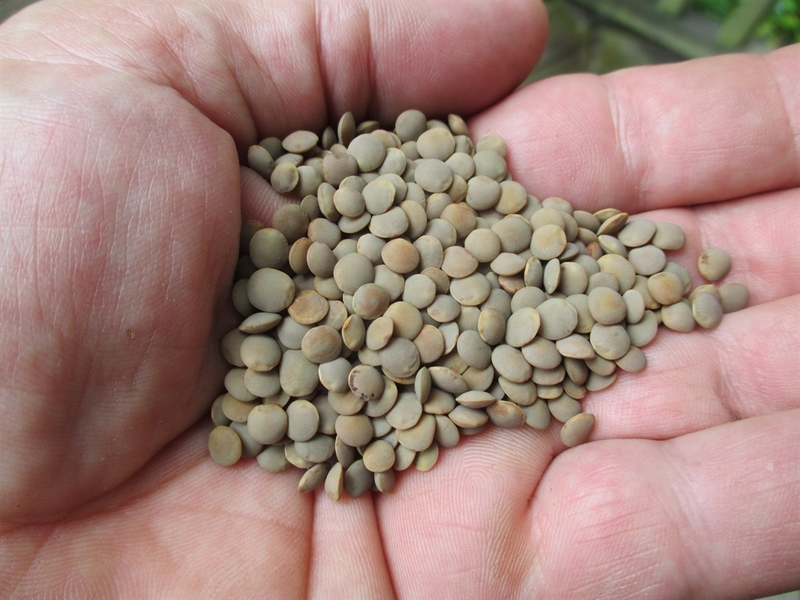 This lentil flowered in about 65 days and was ready for harvest in 96 days from direct seed in late March. It is a “Persian type” with small seeds. This strain is originally from Egypt. It has a light brown seed coat color with bright orange meat. Crimson produced good yields and quality in my trials here in Northern Indiana.